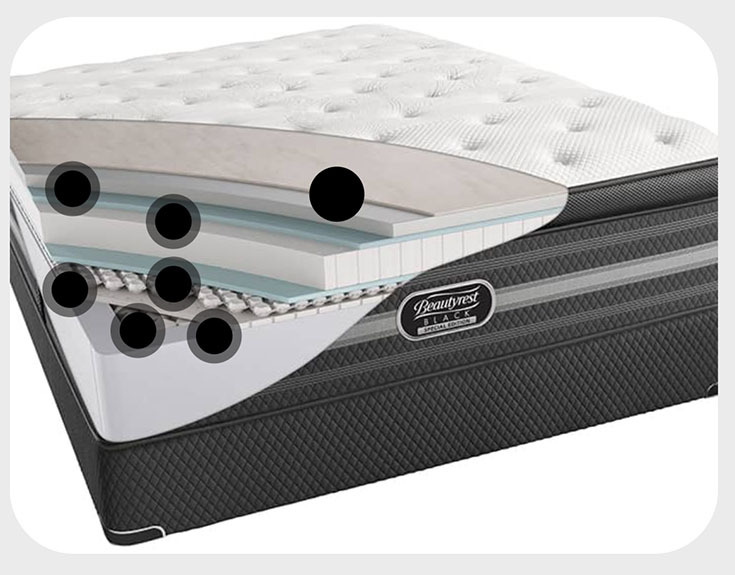 Simmons Beautyrest is one of the most well-known American mattress brands (and rightly so; it was founded way back in 1870). The Beautyrest collections have a lot of different mattresses to offer. They’re currently available in three different tiers dubbed the Black, Silver, and Plantinum collections. Within each collection is a group of models, each featuring multiple comfort levels. That means if you’re interested in a Simmons Beautyrest bed, you’re going to have a lot of options to choose from. 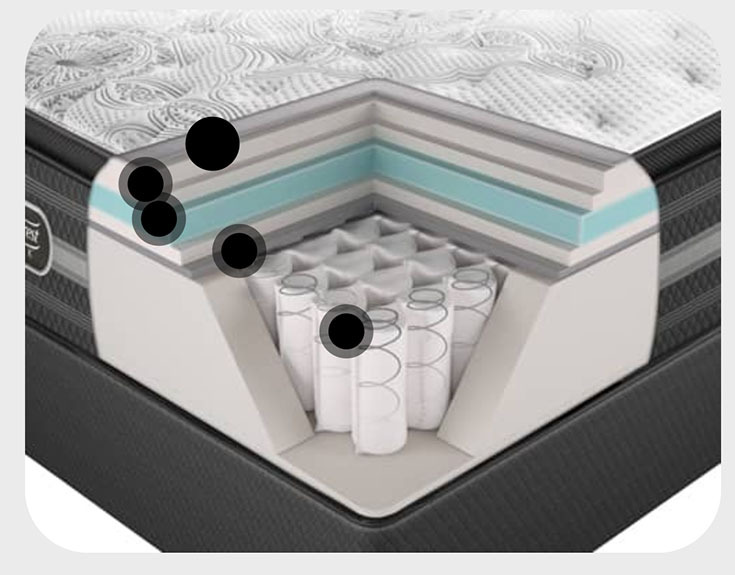 Here you’ll find a complete overview of Beautyrest Black and the collection’s corresponding models. We’ll talk about what makes them unique and what each model has to offer. Don’t hesitate to reach out if you have any questions while you’re checking them out! 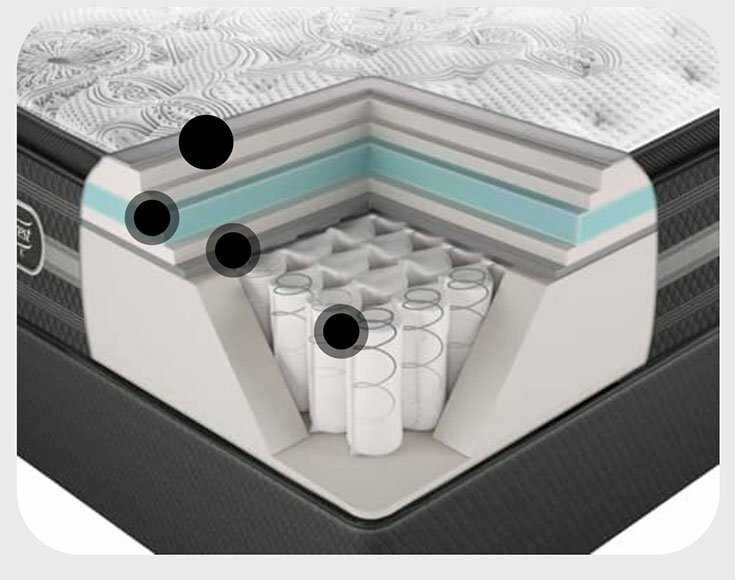 The Beautyrest Black Collection is created by the Simmons Bedding Company, which is based in Atlanta, Georgia. Simmons was founded in 1870 by Zalmon G. Simmons in Kenosha, Wisconsin. Beautyrest is one of Simmons’ flagship brands and was introduced in 1925. 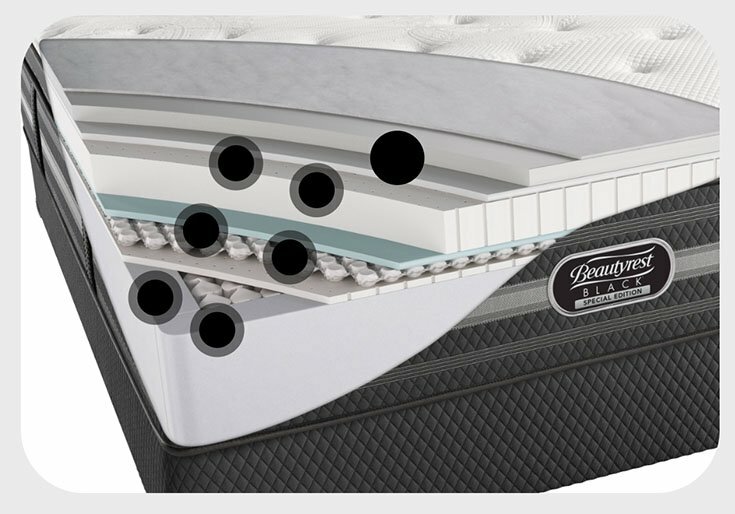 What Sets The Beautyrest Black Collection Apart From The Silver And Platinum Collections? 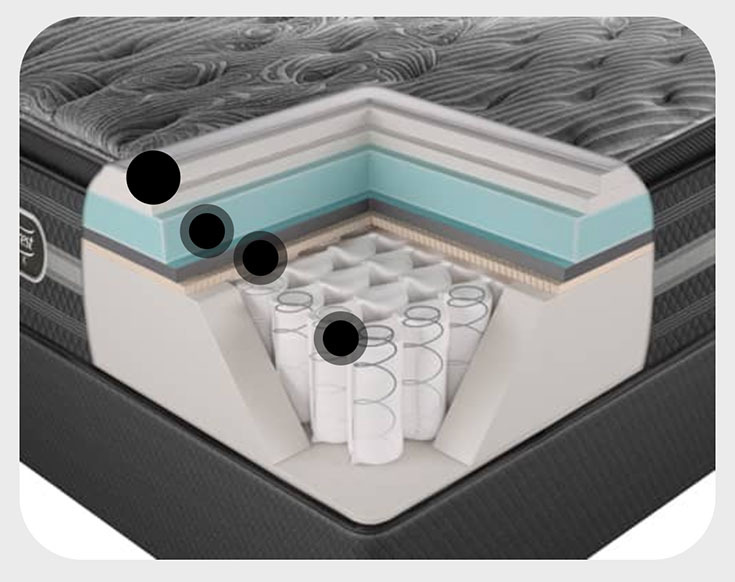 The Beautyrest Black collection is a mid-range mattress collection. It is more expensive than Simmons’ Silver collection but cheaper than the Platinum collection. How Many Models Come In The Beautyrest Black Collection? What Sizes Are Each Model Available In? Each model in this collection is available as a Twin XL, Full, Queen, King, or California King. What Type Of Beds/Frames Do These Mattresses Work With? 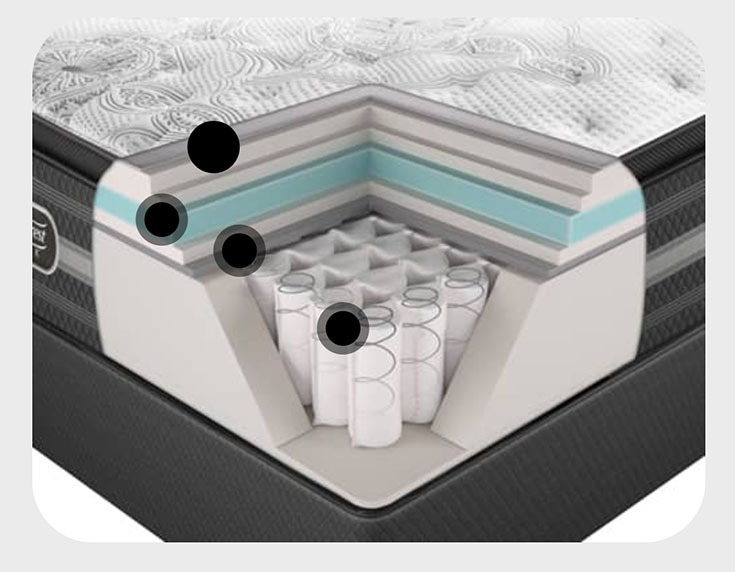 What Materials And Components Are Standard Across The Beautyrest Black Collection? Note: Some models may go by different names when sold by a non-Simmons retailer. 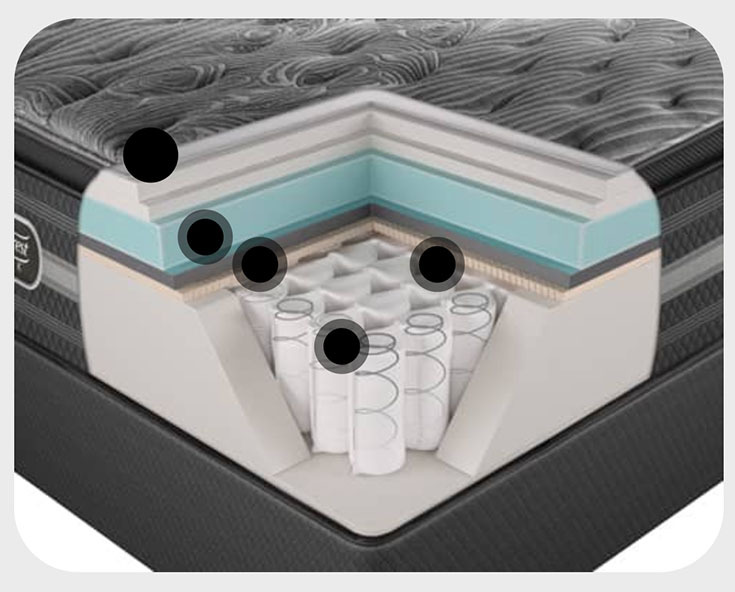 Additionally, some models come in different firmness options — but often, these firmness options involve different materials and mattress heights. With that caveat, let’s take a look at the models in the Beautyrest Black Collection. Check out our review of the Calista Extra Firm. 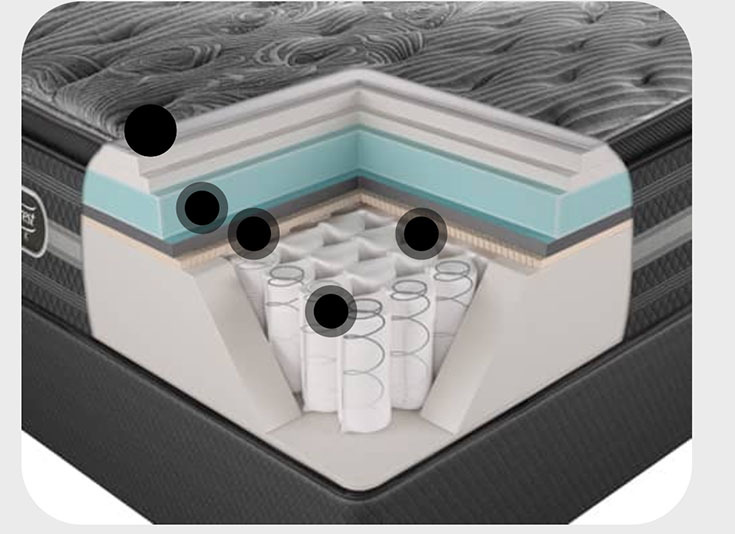 Who Might Like A Beautyrest Black Mattress? 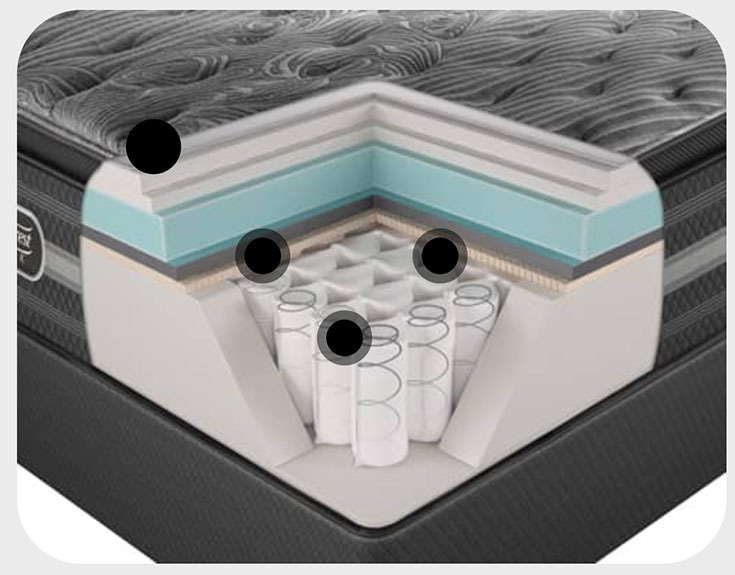 People who want an innerspring coil mattress. These mattresses are not memory foam mattresses. Instead, they contain Advanced Pocketed Coil™ Technology. People who run hot at night. Reviewers say they stay cool at night thanks to the temperature-regulating technologies in the Beautyrest Black mattresses. 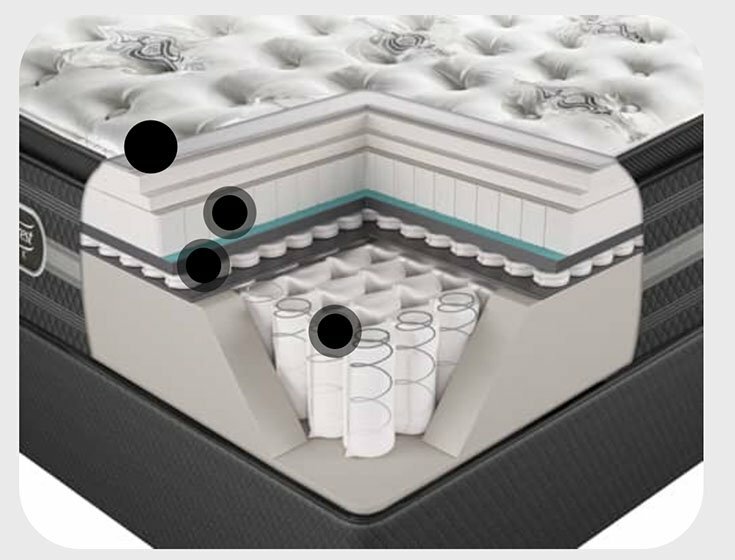 Who Might Not Like A Beautyrest Black Mattress? People working with a limited budget. Prices for a Queen-size Beautyrest Black mattress range from $1,799 to $4,799. 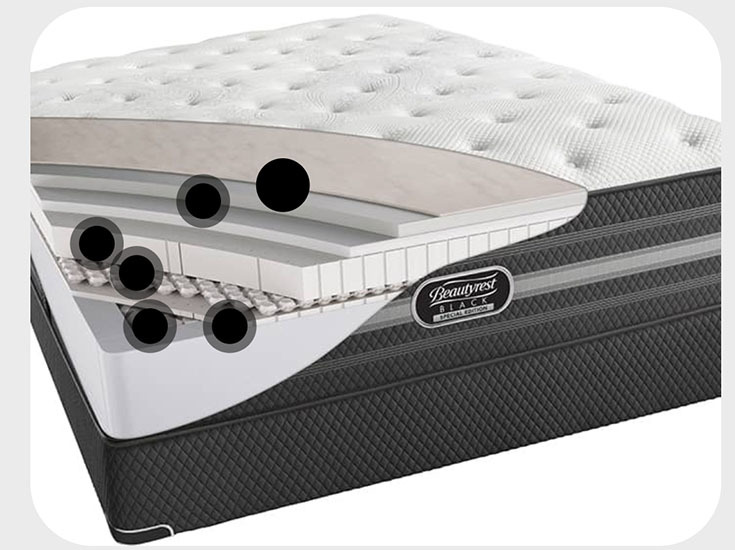 This makes the collection a slightly pricier option compared to other Beautyrest mattresses, such as those in the Beautyrest Silver collection. People who want memory foam mattresses or hybrid mattresses. 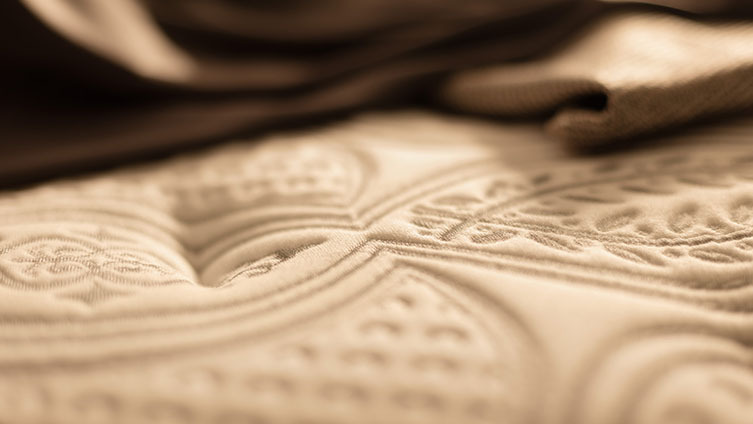 The mattresses in this collection are purely innerspring and don’t contain any memory foam. 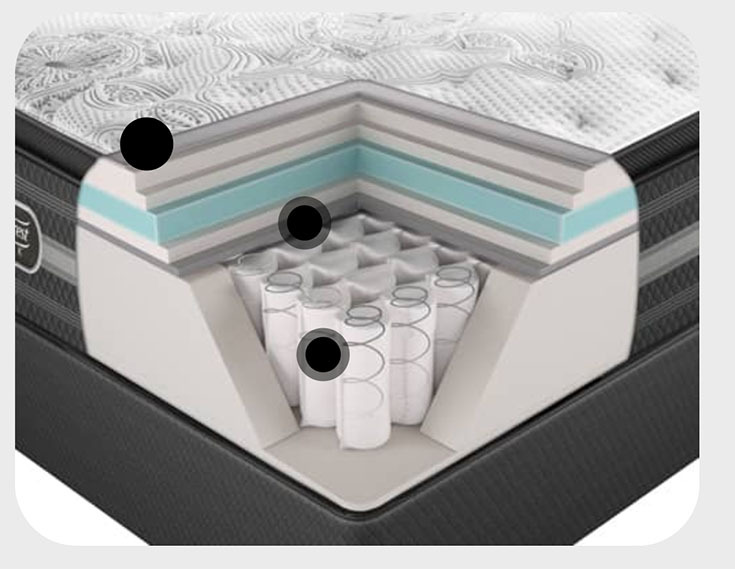 This means they likely will not suit people who want the feeling of memory foam. People who want a low mattress. The mattresses in this collection range in height from 13.5” to 18.5” high, meaning they may make it difficult for people with mobility limitations to get in and out of bed. 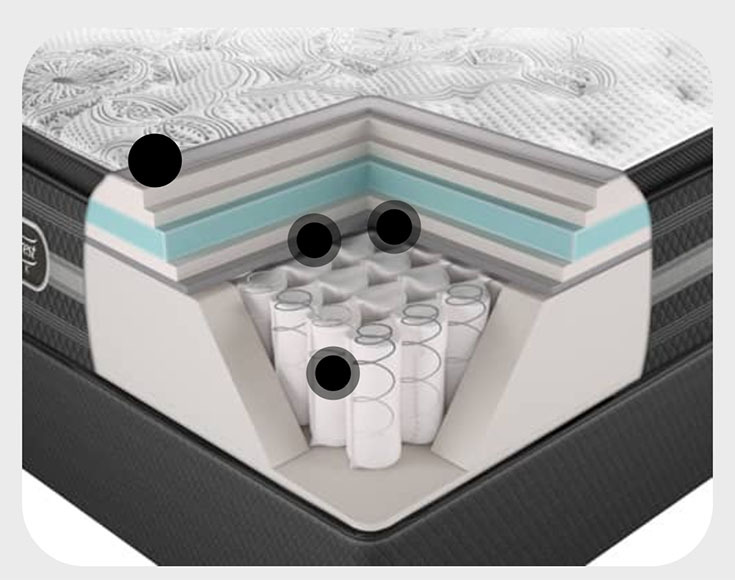 Also, tall mattresses may require special “deep pocket” sheets, which is an added cost. Pleased buyers say the mattresses have great motion transfer technology. “My partner doesn’t wake me when he gets out of bed or rolls over,” a reviewer wrote. Reviewers also say they don’t overheat at night thanks to temperature-regulating technologies. “It sleeps cool, not hot like memory foam,” one reviewer said. Some reviews mention that the mattresses are tall, making it difficult to get in and out of bed. “It’s a little higher than I’d like,” one reviewer notes. 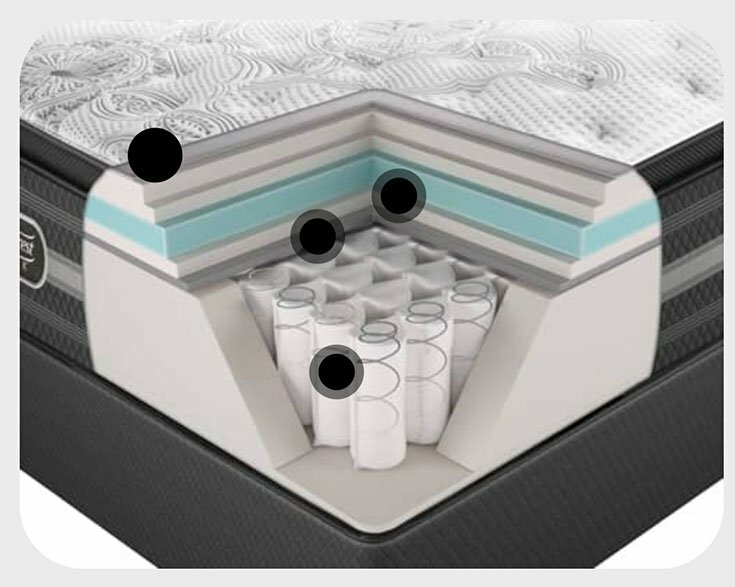 Depending on where you purchase your Simmons Beautyrest Black mattress, you may be offered an in-home trial period. 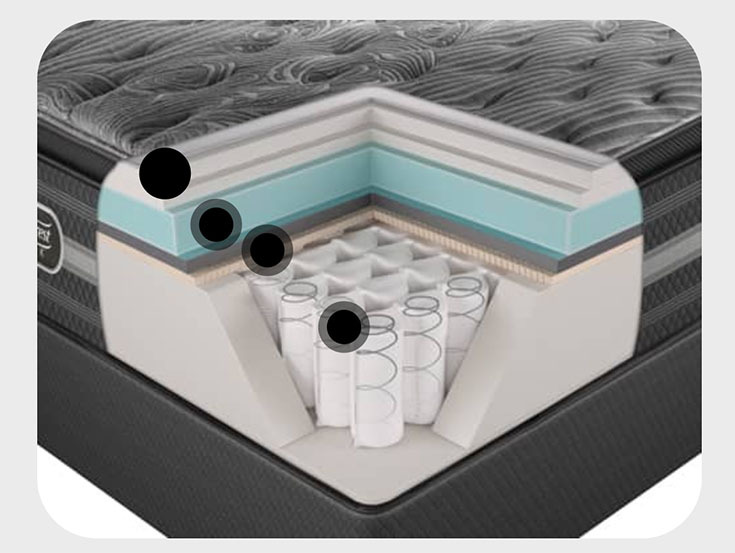 Speak with your sales rep to see what your mattress retailer offers. Your mattress will come with a law tag on it. The warranty code on that tag will denote the specific warranty offered with your product. 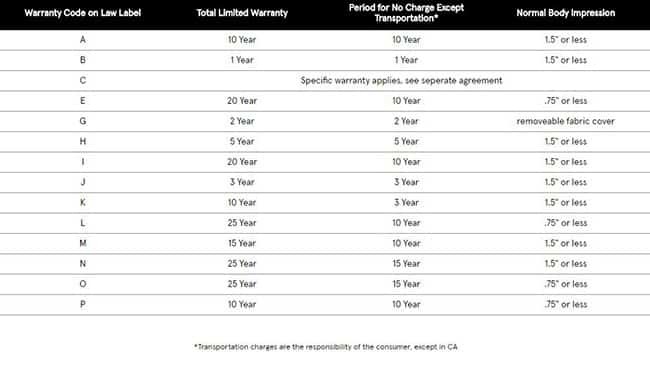 Familiarize yourself with the details of this warranty so you don’t do anything that might void it. 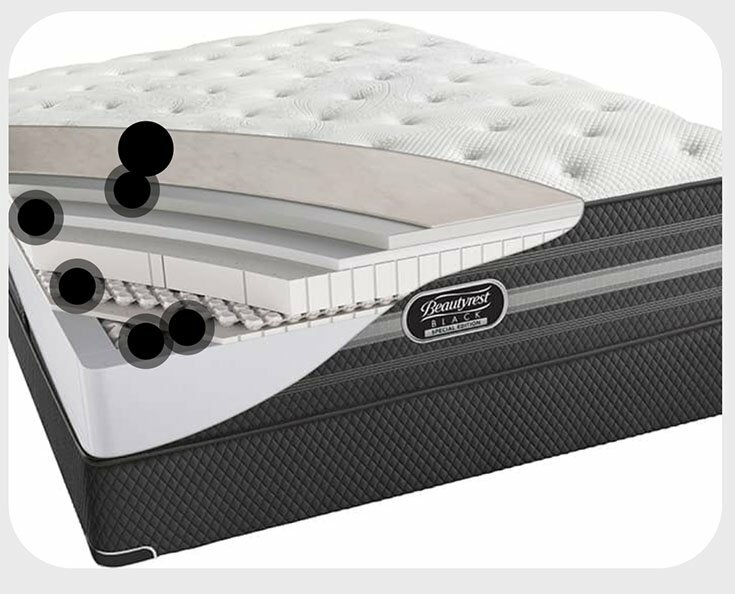 Hopefully this overview has helped you develop a sense of the types of mattresses available in the Simmons Beautyrest Black collection. Please leave any specific questions about this collection in the comment section below.